Angel Sleeve Bridesmaid Skater Dress is rated 4.3 out of 5 by 7. 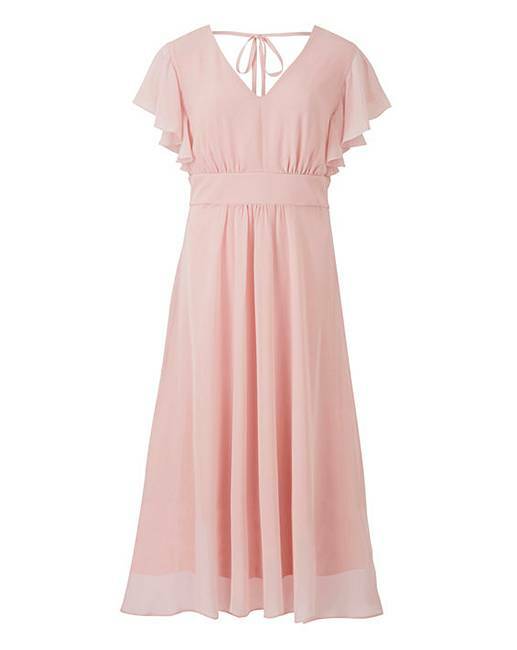 Be a beautiful bridesmaid and work the romance trend in this blush pink dress. Featuring delicate angel sleeves with a tie neck to the back and in a floaty chiffon material, wear with satin heels and an embellished box bag for ultimate elegance. Rated 5 out of 5 by freddie from Mrs terry bought this dress for a engagement party and the colour size and overall fitting and material was excellent and loved wearing it and so many people said how nice it was. really happy with my purchase x. Rated 5 out of 5 by LynYo from Great little dress I really struggle to find dresses that hide my rather round waist. But this little dress hid all the bumps and actually 'created' a waist for me. I felt pretty wearing it. Rated 1 out of 5 by Helen from Poor fit Ordered this for a wedding. The neck line doesn't sit right. It seems to have too much material and 8t doesn't laybflat on neck line. Tried 2 sizes and both were the same. Rated 5 out of 5 by Barney13 from Beautiful dress Great dress, very good value for money, lovely colour, great fit. I bought 6 the same. Rated 5 out of 5 by PicolaNunk from Lovely cut, very flattering I got this plus a pink fascinator to go to a wedding in May and I’m pleased with it. 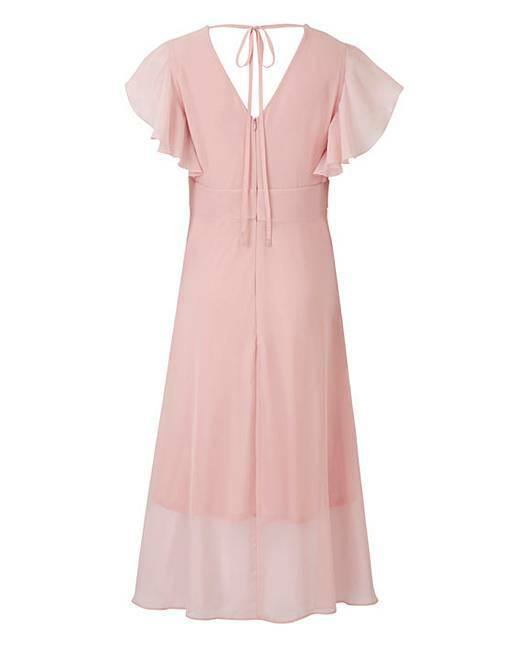 The dress is a beautiful shape and length (I’m 5’3”) and I wanted a spring colour, feminine and pretty below the knee dress - it ticks all these boxes beautifully! I’m a 16-18 and I got size 18 and it fits perfectly, but if you’re not sure I’d recommend going up a size as there’s no give in the material and it’s quite a sub fit. The only thing I’d say is that it is quite a basic dress, I mean it’s lined but there’s not much to it, it doesn’t smack of quality BUT it’s such a beautiful colour and shape and a great price that you can always accessorise it to take it up a level.